Perfect points in no time, every time! METHOD: "Flip & Stitch" - Just fuse, stitch, and flip for perfect matching pieces! Only straight strips to cut - no angles or diamonds! Perfect intersections and beautiful points! 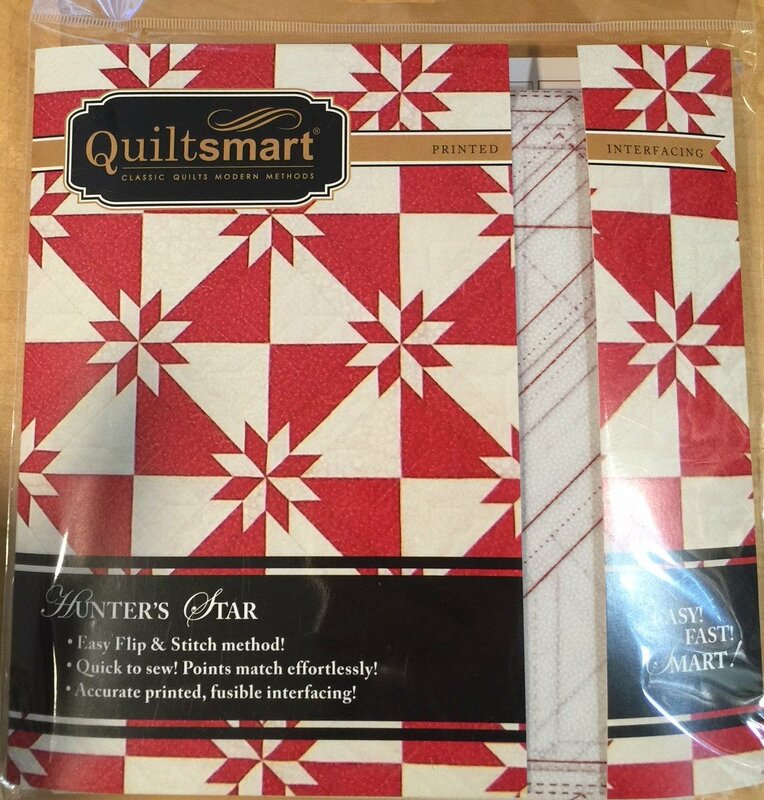 Comes in a 9" x 9" pack with 4 panels of interfacing & instructions to make up to 12 blocks in a 48" x 60" lap quilt. 1 panel makes 3 star blocks. Yardage and cutting requirements for tablerunner also included. PEEK DOWN (Scroll) to see other related PRODUCTS!